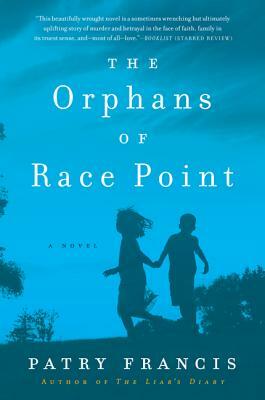 Told in alternating voices, The Orphans of Race Point illuminates the transformative power of love and the myriad ways we find meaning in our lives. Patry Francis is the author of The Liar's Diary and the blog 100 Days of Discipline for Writers. Her poetry and short stories have appeared in the Tampa Review, Antioch Review, Colorado Review, Ontario Review, and American Poetry Review, among other publications. She is a three-time nominee for the Pushcart Prize and has twice been the recipient of the Massachusetts Cultural Council Grant. She lives in Massachusetts.